Stress. A certain amount of stress can be beneficial – it helps you focus, organise, delegate, take action, get things done. But how do you know when that stress you have been living with has taken over and gone into overwhelm territory? So you have a nervous system in a constant state of stress, and your thoughts and behaviours can contribute to and MAINTAIN that stress. For example, with myself, I was constantly working, finding different ways to make an income to support my family, caring for my family, caring for the animals on the farm. If I sat down for even 30 minutes, I would feel guilty, and the thoughts of “I’m being lazy, I need to get up” would come. I would jump up and rush to do “stuff” when my husband came home from work. I was always looking for more “things” I could do. Not a victim, but a martyr – friends and family would compliment me on how much I do, how amazing I was, etc. And I was so exhausted, I got sick, and I still wouldn’t, and couldn’t let my body rest – my nervous system did not recognise what “rest” looks like. There were 2 distinct points of awareness when I realised this way of living was not healthy. One was when I was resting in bed after one of the earlier sessions of immunotherapy for hopper ant anaphylaxis – each session used to knock me out for several days, and I would be in bed at 7pm on immuno-day. My 4-year-old daughter was freaking out – she almost never saw me rest, even when sick, so seeing me sick in bed triggered a lot of fear in her. This wasn’t the message I wanted her to learn – resting is NORMAL and necessary. The second point of awareness was when I realised none of my usual self-care strategies was working. My nervous system was so far and so long into overwhelm that it did not recognise “rest”, “nurture”, “heal”. 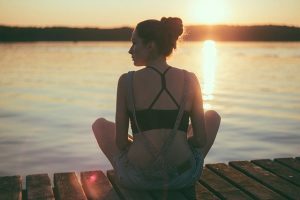 No meditating, controlled breathing, visualisation – helped. I could not feel joy or pleasure, and I could not think of anything “fun”. This was the point when I realised the limits of my own training as a counsellor and a healer, and to reach out for help. When your own nervous system has “forgotten” how to rest-and-digest, you need to get help from someone else trained in therapeutic work to “remind” your nervous system how to rest. The human brain is amazing – it has mirror neurons that help you learn very quickly from someone else, a new action. Even if that action is something you have forgotten. It is OK to reach out for help. Have a look at this brilliant infographic created by Rori, author of wordpress blog, The Graceful Patient. 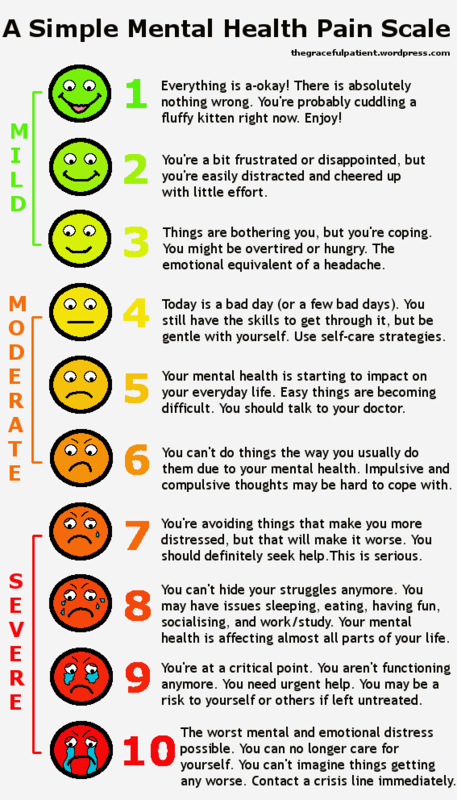 Her simple mental health pain scale can help you recognise when it is time to reach out for help. And for those of us who are used to working it out ourselves, this is a good reminder to get that support sooner rather than trying to power through it ourselves. This is the direct link to read more about this scale Rori created. I have found that there is a line between stress and overwhelm, and that it is hard to recognise when we have stepped into that zone of overwhelm. Hopefully this infographic helps you recognise that line sooner and reach out for support. In Australia, you can contact your General Practitioner to organise a Mental Health Care Plan (MHCP). This enables you to access between 6-10 appointments with a registered psychologist per calendar year, and these sessions are either bulk-billed or there is a small gap to pay. Research the psychologist you wish to consult and check the gap they charge. A little bit of stress can be good for you – it helps you focus, get jobs done, multitask, stay organised, and so on. 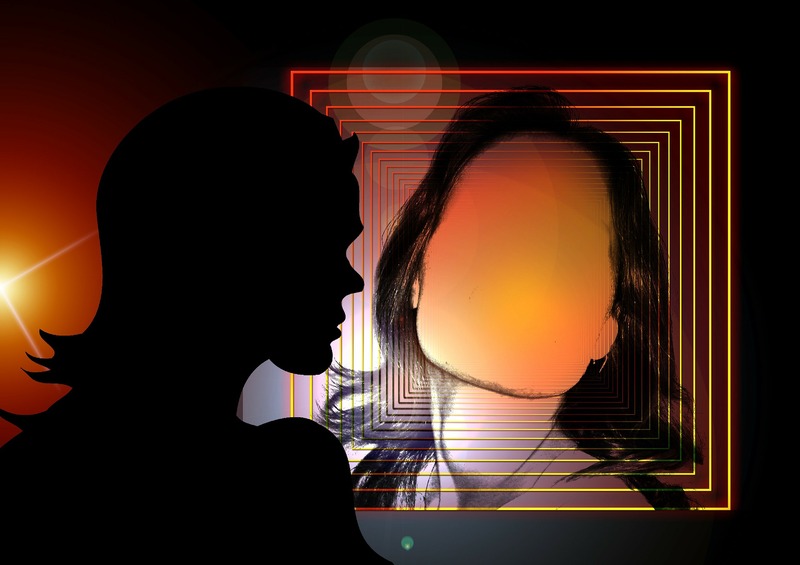 It can be similar to being in your “zone” of achievement – you feel accomplished, you get the rush of “happy hormones” (serotonin and dopamine), and if you post it up on Facebook, you get friends and family telling you how awesome you are to be able to do all those things. That “busy-ness” trap. But it doesn’t take much for the busy-ness to become a self-perpetuating cycle that can leave you feeling overwhelmed. And it is hard to tell when those little bits of stress become stress overload, and chronic stress. 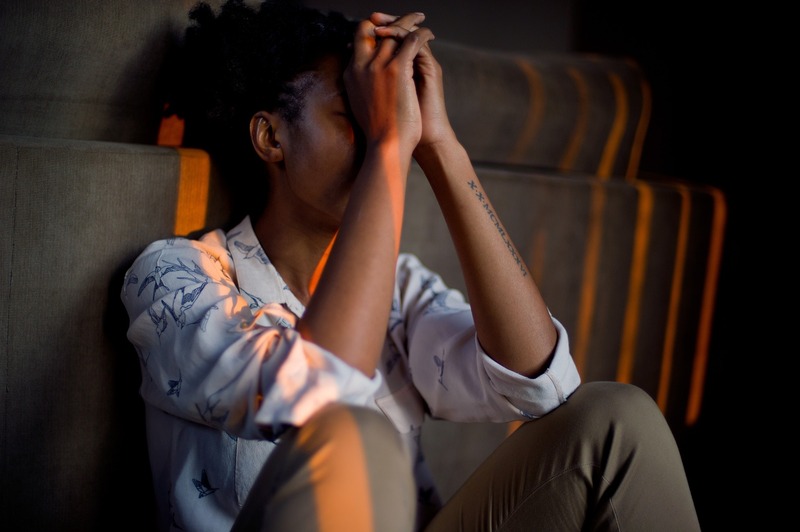 Chronic stress fills your body with “stress hormones” of cortisol and adrenaline, which in turn has effects on our sleep, mood regulation, hormonal regulation, digestion, immune system, mental function, mental health… every body system is affected by chronic stress. Let’s be honest – it didn’t take your body a short period of time to get into that chronic fight-flight state of being. Maybe you can’t even remember when your body was ever not stressed (here is a hint – if you find you cannot sit down to “rest” for a few minutes without feeling guilty, stress has been a long-time companion). Yes, I know this is a no-brainer, but because we don’t tend to give thought to our breathing, it is very easy for our body to fall into a permanent state of shallow-breathing. Shallow-breathing is a stress response. Consciously controlling your breathing, in particular, elongating your exhalations, sparks your parasympathetic nervous system, which slows down your heart rate. My favourite breathing sequence is 6-2-4 = inhale for 4 counts, hold for 2 counts, exhale for 6 counts. See how few you can do in 1 minute. While visualising giving that annoying person the bird is tempting, visualising calm scenery is probably better for your nervous system. It’s why there is a market for guided relaxation recordings. So go to your happy place in your mind, with or without the help of a guided relaxation recording. 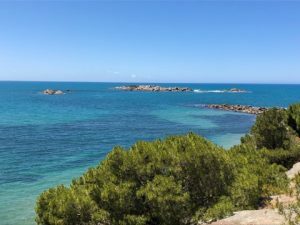 Even better if you have a photo of a calm scenery you can use, and best if its a photo of a place you have been to which can trigger your own good, happy, calm memories. Like visualising, savouring engages the imagination, but is geared towards pleasure. There are three forms of savouring – anticipatory savouring, which means looking forward and imagining a pleasurable experience to come; savouring moment, which means fully savouring and engaging in the pleasurable moment and making it last as long as possible (a minute is a lovely long time in this activity! ); and reminiscing savouring, meaning looking backwards and enjoying the memory recall of a pleasurable activity. This refers to any physical activity that allows your limbs to cross the middle of your body repetitively, which engages large areas of both brain hemispheres simultaneously. This helps you process when you are feeling overwhelmed by too much information, emotion or stress. Cross-crawl activities (see here for an example), the Butterfly Hug which was developed for desensitisation in trauma processing (video), some yoga poses, even simply crossing your arms or legs across your body can help reduce the experience of physical pain. Hugging involves touch and relating with others, which can stimulate a flood of dopamine, relieving stress. Even hugging yourself can relieve stress, as it is part of self-compassion, and the activity crosses your midline. Some yoga poses are specifically aimed at relaxing and calming the mind and body, others help to stretch and release the muscles, some are activities to cross your midline – each can be done for a minute to help relieve stress. The cat-cow pose, downward dog, child’s pose, and the corpse pose to name a few. This is when you engage each of your senses systematically – sight, smell, taste, touch, hearing. For example, setting yourself a task to see 3 red items, smell 3 scents, taste 3 flavours, touch 3 different textures, hear 3 different sounds. This helps your brain disengage from mental stress (worrying, panic thoughts, etc). Following on from above, you can also select just one sense to immerse yourself in for one full minute. For example, placing an essential oil on a tissue or handkerchief, and inhaling deeply for a minute. Or peeling an orange and inhaling the essential oils released. Or squeezing a wedge of lemon into a glass of water (or gin, maybe?) and noticing the scent. Holding a piece of ice in your hand for as long as possible. Similar to sensory immersion above, warming your fingers and hands can relieve stress through noticing the sensation of heat. 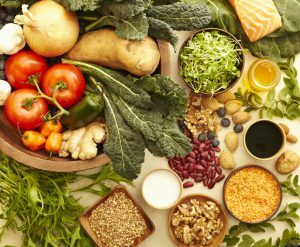 Biologically, it can help shift the fight-flight state to the rest-and-digest state. When we are in the fight-flight state, blood goes to the large muscles of our body, prepping us to run or fight. By reversing the blood-flow to our hands and fingertips, we engage the parasympathetic (rest-and-digest) nervous system. Combine this with a hot drink that is nourishing, and we can build on the calm. A Johns Hopkins University study found that the taste of sweetness on your tongue causes a surge of feel-good endorphins. Also, dark chocolate contains compounds called flavonoids that also affect mood – according to a 2010 study published in the Journal of Psychopharmacology, cocoa flavonoids improved both mental acuity and attitude. Dark chocolate also contain high amounts of magnesium, a mineral essential for managing stress. Additionally, in a 2009 study by the American Chemical Society, eating a mere 1.4 ounces of dark chocolate daily lowered stress hormone levels (more info on chocolate). The key is to limit yourself to just a few bites, since the sugar in chocolate can cause a crash later, plus binging can cause a range of other issues too. And if you drink a hot chocolate, you combine it with strategy number 9 above. There is a reason why animal-assisted therapy is a growing modality for helping medical and behavioural issues in children, educational and motivational purposes in aged care, prisons and mental institutions, to helping war veterans recover from PTSD. According to Wilson’s (1984) biophilia hypothesis, our attachment to and interest in animals stems from the strong possibility that human survival was partly dependent on signals from animals in the environment indicating safety or threat. The biophilia hypothesis suggests that now, if we see animals at rest or in a peaceful state, this may signal to us safety, security and feelings of well-being which in turn may trigger a state where personal change and healing are possible. So, have a good cuddle-fest with your furbaby to trigger the rest-digest (and heal) state. This follows on from the biophilia hypothesis above. The term “biophilia” means “love of life or living systems”, so not just animals, but also plants and trees, etc. It explains why we keep plants and flowers in and around our homes. Very often, flowers also indicate potential for food later. Most fruits start their development as flowers. For our ancestors, it was crucial to spot, detect and remember the plants that would later provide nutrition. 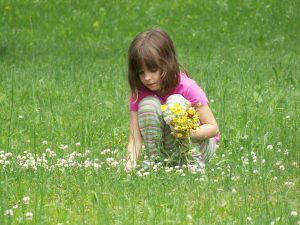 So get out into your garden and pick a bunch of flowers and foliage – gathering greens for food is a biological instinct, signaling eating, nourishment, comfort and rest. Set a timer for 1 minute, and write down on a paper what you are feeling at the moment, or all the stuff running through your head in that moment. Then ritually discard that paper – whether burning, burying or shredding. 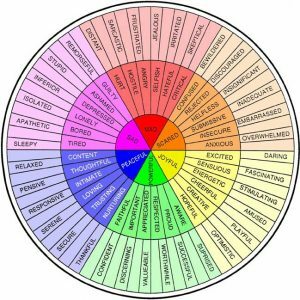 This is different to writing out a to-do list, in that this one is aimed at cathartic relief of emotional stress around a person or situation. You don’t have to declutter the whole house or even a room, so don’t panic! What you can declutter in a minute is your recent photos on your phone (just today I deleted 100 selfies and 10 videos my 4-year-old took this morning! 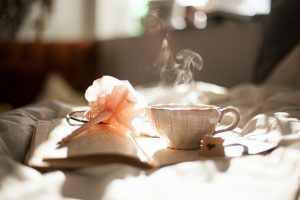 ), your email inbox, newsletters you are subscribed to, your Facebook pages or friends list, your working desk… letting go of “stuff”, even non-physical stuff, helps calm the overwhelm. I like this one especially when I get triggered by something my husband says and start engaging in an argument. Embarrassingly, it started with our 4 year-old daughter telling either of us to go do something else, but I’m glad I’m able to recognise and accept wisdom no matter how young the teacher! So now when I get triggered (and was already stressed anyway), I either tell hubby to go do something else instead of continuing to say stuff that seems to trigger me more, or I take myself away when I realise I’m yelling. Like doing something else, this gets you out of the immediate, stressful moment. By physically removing yourself, and stepping into a calmer environment, you can calm your sympathetic nervous system down. Best is if you have your own sacred space to go to where you have spent time there cultivating calm. Example, your meditation space, your garden, your reading or knitting nook; my favourite sacred space is of course my clinic – instant calm whenever I step into this space. Music is another good one to shift the environment, and also engages the hearing sense. So pop on your favourite stress-relieving music – a calming piano piece, or a rousing dancing tune – whichever works for you to help shift your internal state. In the esoteric world, talk about “grounding your energies” is a common term, with recommendations to go out in Nature and connect with Mother Earth, getting more negative ions into your body and removing positive ions (negative ions are what is available in nature spaces – oceans, beaches, forests – and refers to the charge; positive ions are linked with stress and electronics). However, there is scientific research that shows soil bacteria present in dirt, Mycobacterium vaccae, helps increase serotonin levels, which in turn reduces stress, and supports the immune system. 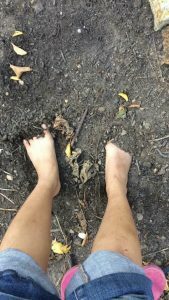 So grounding is literally getting into fresh dirt, so get out into your garden and stick your feet and hands into fresh soil for a minute for some lovely M. vaccae! Magnesium is a mineral that helps with all cellular function in the body, hormonal and neurotransmitter regulation, uptake of other minerals, muscle repair and relaxation, stress relief, sleep support, and so much more (if you are new to magnesium, have a read of this). With modern-day living and all the stressors, plus magnesium-deficiency in soil and plants with modern farming practices, it is safe to say we can all benefit from oral or topical supplementation of magnesium! So rub it on, spray it on, or roll it on – it won’t take more than a minute! (Here is the link to my magnesium products). Relaxing your tongue and jaw sends a message to your brain stem and limbic system to turn off the stress hormones adrenaline and cortisol. Simply let your tongue go limp in your mouth, and then open your mouth slightly, which will instantly loosen up your jaw. These exercises help bring our parasympathetic nervous system online, which tells our bodies to rest and restore. Seriously though, a genuine smile, whether at a stranger or a loved one, connects, and that connection helps us feel a little less alone in our stress. A “sad smile”, a little Mona Lisa-type smile, or a wide Julia Roberts smile – each can bring connection, and connection helps calm our nervous system. Anecdotally and intuitively, we know humour relieves stress. Gallows humour and black comedy shows the interplay of adverse situations, stress, and humour and laughter as stress relief. The psychological research is inconclusive, but I feel it is when humour and laughter is used as a way to connect, and helps the sense that we are in the situation together, do they help relieve stress. 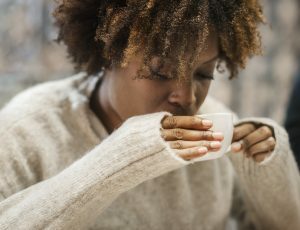 We women know this – when we complain about our husband or children, we don’t want a solution, we just want to be heard and seen, and somehow what we are complaining about turns into a source of humour rather than stress (like the time my husband suggested I was ignoring my family with my hobby of reading. I was about ready to hit him at the time, but it started becoming funny after telling it to others a couple of times). So there you go, a list of 1-minute strategies we can use to relief stress, and shut down that fight-flight instinct. These are small steps to help alleviate chronic stress, but how effective they are depends on how stressed we have been for how long. The more stressed we are, the harder it is to see the humour in any situation, so we may need more than a reminder list like this. Chronic stress, where fight-flight is a dominant response to any trigger, big or small, benefits from additional help. So seeing a therapist will help with deep-set chronic stress, even just for having another person mirror what neurological and physiological calm looks like. If you’d like to discuss with me whether psychospiritual counselling will help you with working through chronic stress, contact me through the website or via my Facebook page. Lavender is one of the easiest plant to grow, that gives many therapeutic benefits. 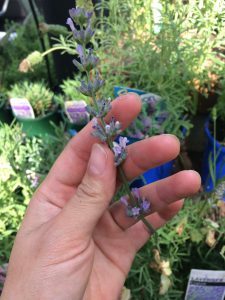 In my opinion, lavender is one of the top 5 therapeutic plant or herb that you should have growing in your garden, as part of your “external medicine cabinet”. So let’s get you comfortable growing your first very own lavender plant! Lavender tends to be grown in mediteranean conditions, so once established, will tolerate dry conditions. It is a hardy perennial (grows all year-round) and loves a cut back to remove spent flower heads. Look at the plant – see how the leaves form – long narrow soft leaves extruding from a main stem. See how the leafy stems grow low towards the ground, and then long thin stems reach out to the sky to form a flower head. See how the flower is formed of tiny little buds clustered together, ending in a thin “spear”. This particular lavender I am describing, is classic to English lavender, or the Latin botanical name, Lavandula angustifolia or Lavandula officinalis. See how lavender grows, close to the ground, usually in a rounded shape. I once referred to this lavender as a “Stately Queen”, and I still see that – beautiful Queen Lavender, calm and composed, overseeing her domain with care and nurturing. And this is very much how lavender is as a healer, in both herbalism books and also aromatherapy resources. Lavender is the all-round healer, gentle for all ages, nurturing and comforting. We can learn a lot about a plant’s particular medicine from simply observing how it grows. This is the concept behind Doctrine of Signatures. So you can see, it is easy to grow lavender, they are easy to care for and there are many varieties to suit your needs. When you go to pick a bunch of lavender, and come back in a few weeks to find more flower heads, you see the Abundance of this healing plant. Watch the bees hover about the flowering lavender, and you will see how it is a part of a bee-friendly garden. 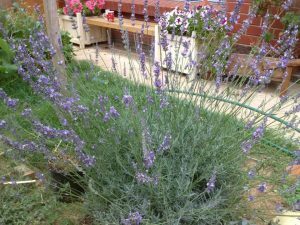 In fact, research has shown that planting lavender beside beehives can help keep the bees calm (have a read of this transcript of an episode on ABC’s Catalyst)! I have also noticed when I added a couple of drops of lavender essential oil to sugar syrup or sugar fondant to feed one of my beehives that was weak in their first winter, they grew to become the healthier of my two hives by the time winter finished! The benefits of lavender extend beyond just us, but also to the environment around you. 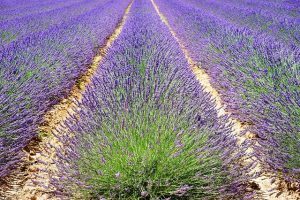 And if you want to know how else you can use lavender to support your wellbeing, have a look at this blog article, 5 Ways to Use Lavender. I hope after this, you are inspired to grow your own lavender plant! Let me know in the comments about your lavender plant journey. 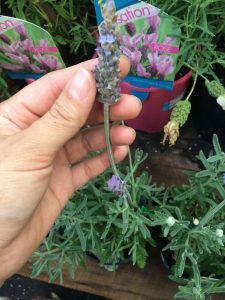 From the very first time I looked at pictures of Provence and the beautiful rows of flowering lavender fields, I wanted to grow my very own lavender plant. I was just happy with just keeping one alive, so I wasn’t thinking about rows of lavender! But one single plant can give you bunches of lavender flowers, several times a year depending on where you are living, and depending on which variety you are growing. If you want to read more about different varieties of lavender, have a look at this post. 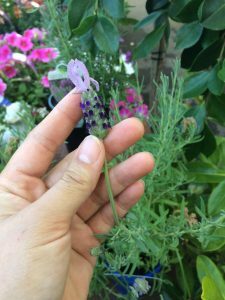 For today’s post, I am simply looking at the ways you can use the flowers of Lavandula angustifolia, also known as English Lavender, even though plenty of it is grown in France…. and that, my friends, is why we look at the Latin name! The Flowers. You have picked a bunch of lavender flowers, and now is the fun of working out what to do with them! 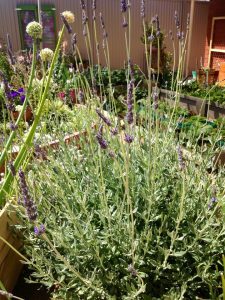 English lavender, L. angustifolia, will keep well – these are the bunches you see in any herb display, and they hold their colour beautifully. L. spica tend to lose their colour and the shape of the flowers does not really lend to making herb sachets or pouches. 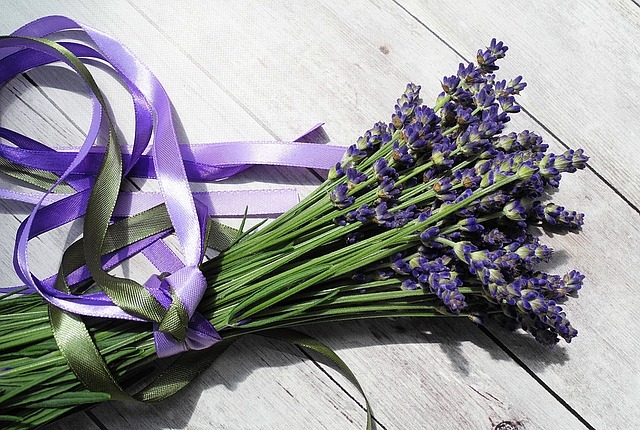 Hang bunches of lavender upside down to dry, so the stems stay straight. Then display them anywhere – in a vase, on a shelf, tied in a posy. 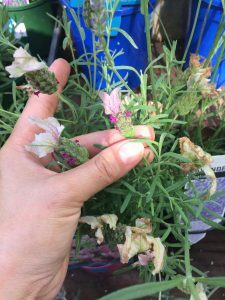 Strip the flower buds from the stem and make sleep pouches or pillows. Lavender is known for their calming and sedating properties, its gentle perfume serenades you to sleep. Add lavender buds to homemade bath salts – these look and smell beautiful as little gifts, or add sprigs of lavender when you are drawing a bath for a goddess-inspired immersion. Herbal teas or infusions. A small pinch of lavender buds, combine with chamomile, makes a lovely bedtime tisane to aid sleep. Add a whole lavender spear into a jug of fresh, chilled water with some slices of lemon for pretty, summer drink. 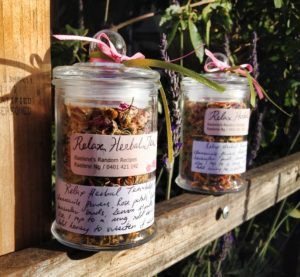 Here is a Relax or Sleep tisane I made as Christmas gifts a few years ago. 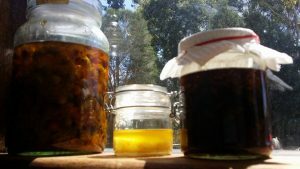 Oil-infusions. Place some dried lavender flowers into a mason jar, and top with a light carrier oil, like sweet almond oil or light olive oil. Leave on a sunny window sill for a few weeks to infuse. 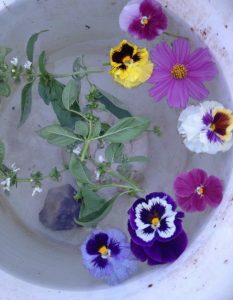 It is important that the flowers are dry before infusing in oil, as water content can cause mold to grow. L. angustifolia is best for this, as they dry well. We tend not to infuse the leaves of the lavender as there is greater water content in them and not enough volatile compounds (the stuff that makes essential oils). Strain the oil when ready, squeezing out excess oil. The spent flowers can then be used in a shower as a body scrub – add sugar or salt to create a simple body scrub that still smells of lovely lavender. The infused oil can be used as a massage oil, or to make creams or lotions (I use infused lavender oil, along with lavender hydrosol and lavender essential oil to create a “whole” lavender cream or lotion, as I believe the “whole is greater than the sum of its parts”). Flower Essences. 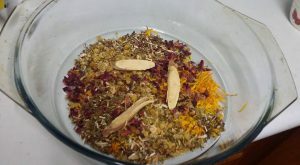 Flower essences are made with the energetic properties of the plant and then “preserved” with alcohol. You can make them to the rhythm of the moon, calling in the New Moon for new beginnings, or the Full Moon for fulfillment of Intentions, and the dark of the moon for reducing symptoms. Tuning in to the healing and magical properties of Lavender, and combining them with the energies of the moon can create powerful essences, which are unique to the person creating them. This is where we approach the herbal medicine aspect of Plant Medicine. Tinctures are usually alcohol-based, or water-and-alcohol-based products. Lavender flowers are macerated (infused) in alcohol or a mixture of alcohol and water. 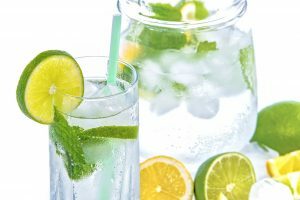 Lipophilic (oil-loving) volatile organic compounds (VOC) will infuse into the alcohol, while hydrophilic (water-loving) VOCs will infuse in the water. With a water-and-alcohol tincture, we are able to capture both hydrophilic and lipophilic VOCs to create a more holistic tincture. 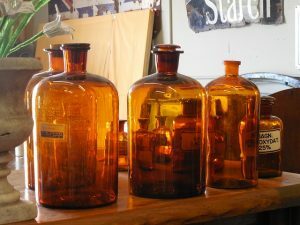 Dosage of tinctures is dependent on the condition one wishes to treat – note my use if the words “condition” and “treat”, so you would need to obtain more knowledge in this part of herbal medicine, or consult a herbalist. As human beings on a spiritual journey, we are constantly going to experience ups and downs. In recent years, I started viewing it as if we are going through continuous expansion – going up, up, up but occasionally we hit an upper limit, and this is where you want to smash through that upper limit. The smashing through can be painful at the time, and can leave us questioning what it’s all about, what are we doing here, is what we have been focusing on truly worth it, and on and on. For some of us, it is a big crisis when you are new to having your spiritual awakening and shifting from Unconscious to Conscious. It is a huge wake-up call, and it shakes you up. For some of us who have been on the journey longer, the shake-up is not as big. Nevertheless, it is a shakeup and it can leave us questioning ourselves. So, these are the seven things I come back to whenever I feel myself hitting another upper limit – these strategies help me stay sane! They help me move thought the shifts as smoothly as I can, with ease and joy. I’m not saying it is easy. Sometimes it is really hard, because I still have a family to care for, our farm and businesses to run, and that is OKAY – acknowledging that we are finding things challenging, helps us let go of control and back into Flow. Do what you need to support yourself through the shifts, and I hope these strategies give you an idea of how you can craft your own support plan too. Number 1: Look after your body. at are grounding like potatoes, carrots, beetroot or other tubers, something that is from under the ground, as those foods can help ground you. Magnesium is a mineral I highly recommend – you can find this in dark chocolate (there is a basis to those cravings! ), dark leafy greens and nuts and seeds – as our bodies use up magnesium when we are stressed. Fermented foods may help as well, as research now shows how our guts can influence our moods, and vice versa. You may find that your sleep patterns are scattered whenever you are going through a shift – from middle-of-the-night wake-ups (3.30am, anyone??) to needing naps at random times of the day. Listen to your body and sleep when you can. body. If you are finding it hard to move, a massage or any other body-work treatment, a bath or shower, can help. Hydrate, hydrate, hydrate as much as you can. Beside s nourishing our bodies, when we drink water, we come back into our body, we ground back into our body. This can help shift that scattered-ness, and keeps energies flowing. Drinking water also supports the cellular shifts that are going on within our body as we go through a Consciousness shift. Remember that water can carry high vibrations, if we set the intention to it. Adding crystals, flower essences, solar or lunar energies, vegetable or fruit slices, and most importantly, our Intentions, can help “charge” the water with higher vibrations to support our bodies. Number three: Ask for help. This is a big one, and it can be a challenging one. Reach out. Ask for help from your friends, your family, people you trust, people you know are having high vibrations, or people you know who are going through the same thing that you’re going through. Ask them for help. Check in with them. Being very careful not to go down into negativity. It helps to check in and to know that you are not the only one going through a shift. Other people are going through a shift too. Other people are struggling at certain times. You are not the only one and you are not crazy so it helps to check in with someone else, to ask for help with those around you. 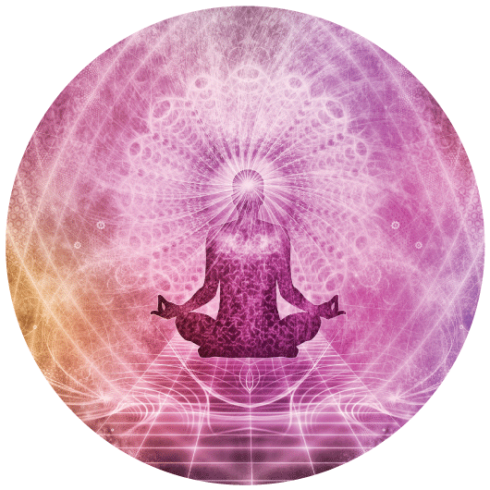 Ask for help from your unseen supporters – your spirit guides, your angels, the Ascended Masters, your unseen Lightworkers who are there helping you, supporting you through this shift. Ask them for help. Remember that they cannot help you unless you ask for it. These can be rituals, or they can be extra spiritual practices, or your hobbies, or anything that will lift up your vibration. Engage in things that you love because they remind you of YOU. When it is something that you have always loved to do, but haven’t had time for it lately, now is a good time to come back to it. Number 5: Honouring your journey. Honouring your journey as a human being. Honouring your journey as a spiritual being in a human body. Honouring how far you have come. Honouring those dark times that you have gone through but you survived anyway. Honouring your strengths and how you still here. You are still here, there is a reason you are still here. You are strong enough. Honour your journey, honour your strengths, honour yourself. It helps. It helps to remember you are an awesome person who has got this far. Number six: Check in with your spiritual practices. It helps when we surrender, or we acknowledge, that there is a power greater than us. There is a power that has our back, that is looking out for us, that is cheering us on, wanting us to move through this and be here and be Lightworkers. Holding your light, holding your love. Acknowledging it helps us know that we are not alone, that we have never been alone. Number seven: Remembering your divinity. Remember that you are a soul that came from a Greater Divine, that the spark in you is the same spark that is in the Greater Divine that is in the same spark as everyone else here. Remember that you are divine beautiful, limitless soul, living in a human body. You are more than your human body, and you are more amazing than you ever think that you are. Remembering your divinity helps you know that this too shall pass, and that you are going to come through like a butterfly out of a chrysalis. A big, beautiful soul with a higher consciousness, and then you get to do it again later on. I hope you have found inspiration in these seven ways that can support you through a spiritual shift, a breaking through of an upper limit. If you have found value in this article, I would love to hear from you. I would love to hear how this has helped you, or if you don’t agree with it, feel free to express your opinion. What I do ask is to share it with love and kindness, and above all be kind to yourself too. What you can see in the video is the crisis the trees are experiencing due to over-harvesting, and not allowing the trees to rest and recover between harvests. Essentially, cuts are made to the bark of the trees, which the trees respond by excreting resinous tears to help wound-healing. So the very properties that heal the wounds on the trees and protect them from further harm – antiviral, antibacterial, cicatrisant, to name a few, are what we value in the resin and the essential oil. Traditional practices of harvesting frankincense resin allows the trees to heal between cuts. With greater demand for frankincense, the trees are cut more than 2-3 times a year, and trees are not left to rest between cuts (traditionally, trees are left to rest after a few years of harvesting), and trees are incorrectly tapped (cuts are made deep to the heartwood which impacts the trees). So essentially, you have trees under chronic stress, meaning you have trees that are more susceptible to natural pests in their environment, and seed germination in tapped trees versus untapped trees is 81% versus 18%. and aren’t your best selves. So why do we do this to our plant allies? This approach reminds me of when, as a teenager in Malaysia, one year our peninsula experienced the aftershock of a sea-quake. Mild tremor – enough for a friend of my mum’s to reach immediately for Panadol because she thought she had a dizzy spell coming on. Reaching for the Frankincense essential oil for whatever ails you, without understanding the symptomatic presentation, factors underlying the symptoms, the person’s holistic presentation, and the therapeutic actions of different essential oils, herbs, spices, foods, minerals, and so on, is simply sloppy medicine. And using Frankincense as the never-ending supply of Panadol, is simply ignorant privilege. Of all the recipes recommended, very few suggested proper dispersants to safely disperse the essential oils. The basic recipes were vinegar, water, and essential oils, and no warnings on shelf-life for the sprays. So potentially, you are spraying your surfaces with contaminated water plus droplets of essential oils, because oil and water do not mix, and the essential oil does not extend its antibacterial properties into water. This post has an excellent infographic demonstrating how essential oils do not disperse in water or vinegar, you are best to use isopropyl alcohol or high-proof vodka. 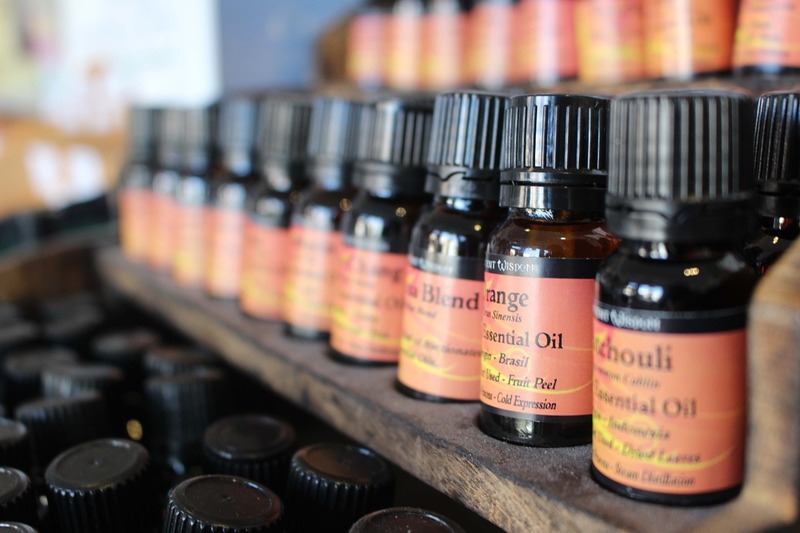 This post is a long one, showing experiments conducted by a scientist on the efficacy of essential oils and their germ-killing abilities in the home. At topic 15 towards the end of the article, she shows how oil-and-water combinations do not do a good job at all in terms of cleaning . So basically, in terms of cleaning, isopropyl alcohol or high-proof vodka is sufficient on its own for cleaning anyway, without essential oils, least of all a precious resource like frankincense eo. 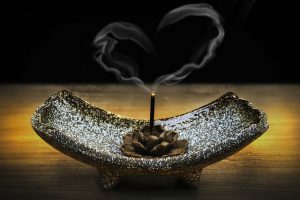 One thing we can all agree – Frankincense is a sacred, powerful, magical, healer. Let’s treat it with the respect it deserves, and learn to use with sustainably – not just the essential oil, but the whole resin too, as the medicine it is, not a cleaning agent. Classroom diffusion is an increasingly important safety topic to address. While teachers aim to diffuse to reduce the incidence of illness and spread of germs in their classroom, or diffuse “calming” or “focus” blends to mediate classroom teaching, active diffusion during class has myriad safety concerns. Are the oils used appropriate for age? Cinnamon – contains the constituent eugenol, which is hepatotoxic, meaning it may cause damage to the liver. Overdose is possible, particularly around young children with immature livers, causing a wide range of symptoms from blood in the patient’s urine, to convulsions, diarrhoea, nausea, unconsciousness, dizziness, or rapid heartbeat. In general, irritation, over-stimulation and physical discomfort is possible from over-exposure via inhalation. Clove – contains high levels of eugenol, approximately 80-90%. In general, irritation, over-stimulation and physical discomfort is possible from over-exposure via inhalation. Eucalyptus species and 1,8-cineole-rich oils – eucalyptus oils generally contain high levels of 1,8-cineole, a constituent known for triggering respiratory distress especially in those with compromised respiratory systems. Tisserand and Young (2014) recommends to avoid use on or near the faces of children 6 years and under. Peppermint, cornmint, and other menthol-rich essential oil – menthol is known to stimulate cold receptors in the lungs, and this triggers a reflex in young children which slows down breathing significantly, and sometimes dangerously. Rosemary and camphor-rich oils – rosemary also contains 1,8-cineole, as well as camphor. Camphor is known to trigger seizures in those suffering from epilepsy. Has health assessments and contraindications been checked for each student in the class? As per above, essential oils do pose safety hazards for those with medical issues. Diffusing without parental informed consent – “informed” meaning parents are fully aware of contraindications of essential oils selected – may cause harm, and is also akin to providing medication without permission from parents and the appropriate health professional. Other health considerations include: asthma, ADD/ADHD/autism, chemical sensitivities, immune-compromised, and medications. Different essential oils are known to trigger different reactions in asthmatics, so caution must be taken for all oil-use. Oils such as lavender and chamomile, while generally calming/sedating, has been documented to have the opposite effect on children and adults with ADD/ADHD/autism. Any fragranced oils including essential oils can be highly-irritating to those with sensory processing difficulties and chemical sensitivities. Certain essential oils have also been documented to interact with medication. Are the oils being diffused constantly? According to research, constant diffusion is ineffective at best (habituation effect) and increases risks to sensitisation at worse. Over-exposure to fragrances including essential oils can cause headaches, nausea and light-headedness. Safety recommendations are 30 minutes on and 60 minutes off for best results with minimal risks, with open air-flow, for a water-type or ultrasonic diffuser. For nebulising diffusers that emit pure essential oil into the air, the recommended diffusion time is 10 minutes, 2-3 times a day for adults. For children, reduce the amount of time diffused. However, contraindications and at-risk populations must be noted – safe times for diffusing would be before and after school hours when no children are present. For amounts to diffuse, this depends on the type of diffuser used. Follow the instructions included with the diffuser, or the essential oil bottle. Are we causing more long-term harm by mediating developing immune reactions with strong antivirals and antimicrobials? According to a recent article by Lauren Bridges (2017) published on Tisserand Institute, overuse of strong antimicrobials may inhibit immune system development in young children, as well as risking sensitisation, overexposure to stimulating oils and possibly contributing to bacterial resistance. Other effective aromatic options with better safety profiles, is recommended. Is diffusing in compliance with policies? Are there legal concerns? 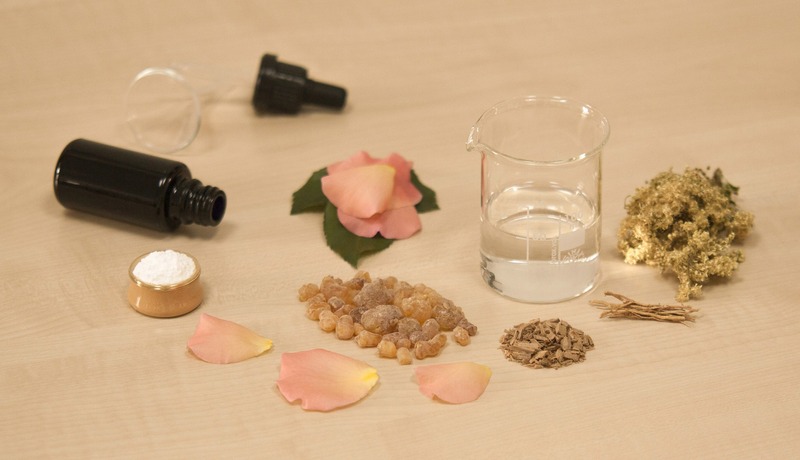 Schools generally have policies on the use of fragrance, and this includes essential oils. There may also be legal concerns around causing harm through diffusing essential oils without informed consent from parents or consultations with a child’s medical practitioner. 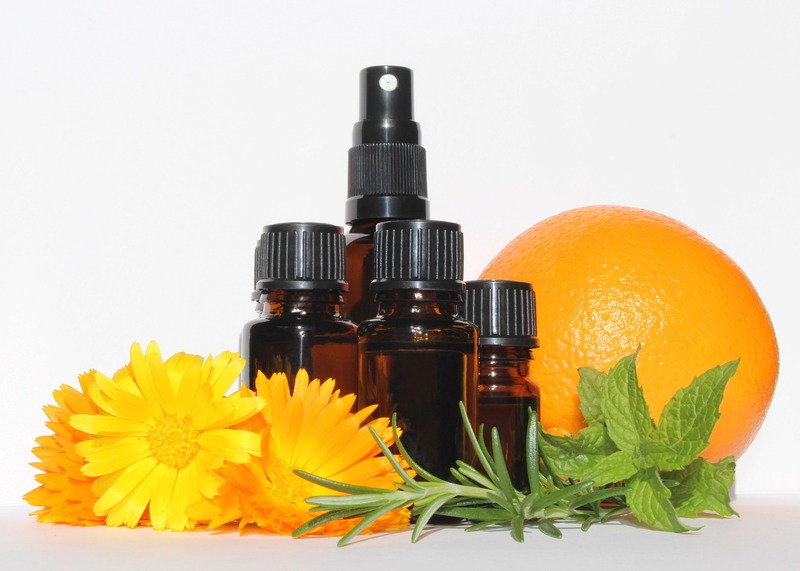 Aren’t essential oils natural and better than fragrance plug-ins or chemical sprays? Although essential oils are derived from plants an are thus considered natural, versus synthetic fragrances, side effects such as nausea, light-headedness and headaches have been documented with overexposure. Contraindications with medical conditions and medications have also been documented. Essential oils have the potential to both help and harm, so risks and cautions must always be considered when using essential oils. What if I source essential oils from a trusted company? While purity of essential oils is important, pure essential oils, regardless of company or marketing spiel, pose risks and adverse reactions, based on their chemical constituents. Cautions, contraindications and safe use must be considered for all essential oils. My child’s classroom is diffusing essential oils and I am concerned about reactions. What do I do? Refer to your school’s policies on fragrances and medications – most schools prohibit the use of fragrances due to chemical sensitivities, and medications require prescriptions from medical practitioners. Refer to the school’s Complaints Policy as well for procedures to guide you in raising your concerns. Consult your medical practitioner if you have concerns about your child reacting to essential oil diffusion. Print off this information sheet to include in your case. Personal inhalers – individual personal inhalers for teachers is a safer option if they wish to support their immune system. Diffuse before and after school hours, when children are not present. Follow dosage amounts on essential oil bottle and instructions for diffuser equipment. Consult a clinical aromatherapist or IAAMA (Australia’s International Aromatherapy and Aromatic Medicine Association) if you as a parent or a school has further concerns. Tisserand & R. Young, 2014, “Essential Oil Safety: A Guide for Health Care Professionals”, 2nd edn, Elsevier Health Sciences, UK. Babies and young children have very sensitive skin, and essential oils can easily become overwhelming since essential oils are highly concentrated plant volatile organic compounds. Babies and young children also have livers and kidneys that are still maturing, and as these systems are responsible for processing essential oil constituents, certain essential oils may pose more risks than benefits. By adhering to recommended oils safe for babies and children, we reduce risks while enjoying the benefits of essential oils in supporting their health and wellbeing. Adapted from Purchon and Cantele (2014), Butje (2017), and Tisserand and Young (2014). This list in not exhaustive. Note that fir and pine oils are generally safe for diffusion, however they can cause skin sensitivity if oxidised. The essential oils in the list above are safe to diffuse from 3 months upwards, in a well-ventilated room, for up to 30 minutes on, then 60 minutes off. Ensure open air-flow, and use up to 6 drops of essential oil for a water-type or ultrasonic diffuser. For nebulising diffusers that emit pure essential oil into the air, the recommended diffusion time is up to 10 minutes, 2-3 times a day, 1-2 drops of essential oil. For best practice, our recommendation is to diffuse without infant/child in the room, and turn off when child is in the room, and to use single oils rather than blends. For topical use, great caution is necessary for infants. Since neonatal skin does not mature until three months of age, it is more sensitive and more permeable to essential oils. A newborn is also less equipped to deal with any adverse effects than an adult because of lower metabolic capacity. These cautions apply even more to premature babies, and here it would be prudent to avoid all use of essential oils. For full-term infants and upwards, dilution rates depend on the total quantity of essential oil(s) applied, the total area of skin to which the oil is applied, the health and integrity of the skin, the age of the recipient, the temperature and moisture content of the skin, the extent to which the skin is covered after application, how soon the skin is washed following application, the frequency of application, and the essential oils used. The list above provides a guideline for minimum and maximum dilutions appropriate to age, when used for a full-body massage. For smaller areas, we can utilise the maximum dilutions, but in general, the recommended approach is “less is more”. It is essential to use carrier oils such as olive oil, wheatgerm oil, jojoba oil, sweet almond oil, and so on, to dilute essential oils. Essential oils are potent volatile chemical compounds that can both heal and harm. In general, by adhering to aromatic oils on the recommended safe list, and following guidelines for dilution rates, we can minimise risks and enjoy the benefits. Let us not forget that there are other options aside from essential oils, that are part of aromatherapy. Hydrosols or floral waters are co-distillates from essential oils, and are often a safer option than essential oils, especially for infants and young children, and those with sensitive skin and complex medical conditions. Carrier oils and butters generally healing and nourishing, especially for skin conditions. Both hydrosols and fatty lipids (carrier oils and butters) may be better options compared to aromatic essential oils for children who have scent sensitivity or sensory processing issues. Another aspect we need to consider is the desire to use strong antimicrobials to prevent illness/sickness, such as oregano, cinnamon, clove, and eucalyptus essential oils. While it is tempting to use potent antimicrobials when faced with controlling the spread of infections, essential oils known as strong antimicrobials also tend to be most risky in terms of adverse skin reactions. Frequent use of strong antimicrobials as a preventative, may have the counter-productive effect of inhibiting normal immune system development. Furthermore, strong antimicrobials tend to be stimulating, whereas opting for gentler immune-supportive oils like bergamot, lavender, lemon, marjoram and tea tree oils can provide sedating and relaxing properties conducive for restful healing states (Bridges, 2017). One way to benefit from strong antimicrobial oils while minimising risks, would be to use them as part of a home sanitisation routine after an illness has run its course. Use diluted in surface cleansing sprays or diffuse 30-60 minutes behind closed doors, away from family members, then air out. There is a time and place to use potent antimicrobial essential oils – if you are needing to frequently reach for potent essential oils, chances are the conditions would be more complex and require trained expertise and a holistic approach. For best practice, consult a qualified aromatherapist who can undertake a thorough health assessment. Essential oils need to be diluted in a carrier oil. Water and oil do not mix, so is not an appropriate diluent. Always consult a qualified aromatherapist if your child has any medical conditions, as they can liaise with your medical professionals to provide holistic care. Butje, A., 2017, “The Heart of Aromatherapy”, Hay House Inc., California. Purchon, N. & Cantele, L., 2014, “The Complete Aromatherapy and Essential Oils Handbook for Everyday Wellness”, Robert Rose Inc., Ontario. Tisserand, R. & Young, R., 2014, “Essential Oil Safety”, 2nd edn., Churchill-Livingstone.